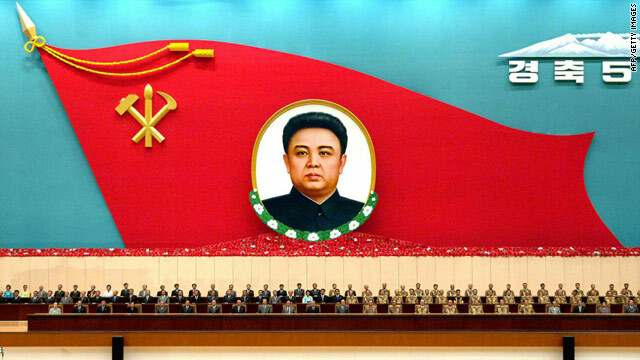 A national meeting at the Pyongyang Indoor Stadium on August 24 marks the 50th anniversary of leader Kim Jong Il's start of the Songun revolutionary leadership. Photograph released by North Korea's Central News Agency. Washington (CNN) -- President Barack Obama issued an executive order Monday giving broad new authority to impose financial sanctions on North Korean entities and individuals doing business with and for the secretive communist state. Stuart Levey, Treasury Department under-secretary for terrorism and financial intelligence, said the new order "targets a wide range of illicit activities undertaken by the government of North Korea." Obama specifically named three North Korean entities, but his order covers much more ground, directing the State and Treasury departments to target any individuals or entities that facilitate North Korean trafficking in arms and related materiel; procurement of luxury goods; and engagement in illicit economic activities, such as money laundering, the counterfeiting of goods and currency, bulk cash smuggling and narcotics trafficking. This new executive order supplements existing but more limited U.S. sanctions established in 2008 by President George W. Bush, which targeted proliferators of weapons of mass destruction. And it makes it possible for the U.S. to go after individuals and companies in other countries who assist or sponsor financial relationships with the North Koreans that include any of the banned types of transactions. The action comes just days after former President Jimmy Carter returned from North Korea having secured the release of a US citizen who had been sentenced to eight years of hard labor by the government there for entering the country illegally. Robert J. Einhorn, special Advisor to the State Department for nonproliferation and arms control, told reporters that the timing of the sanctions announcement after the Carter visit was purely a coincidence.